By: George.Chatzigeorgiou March 26, 2019 0 Comment. 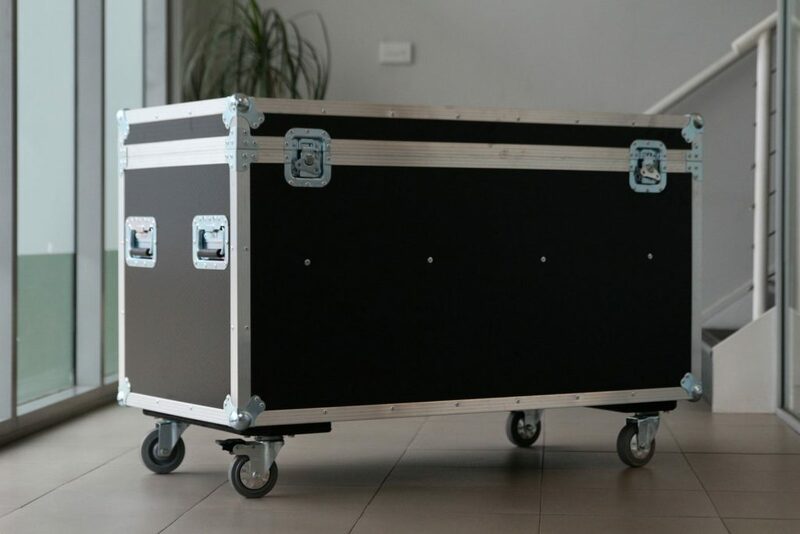 This is a heavy-duty road case for Monkey Baa Theatre Company for cable packing. Cable organising and transferring can be a frustrating task when you don’t have the correct space to work with. 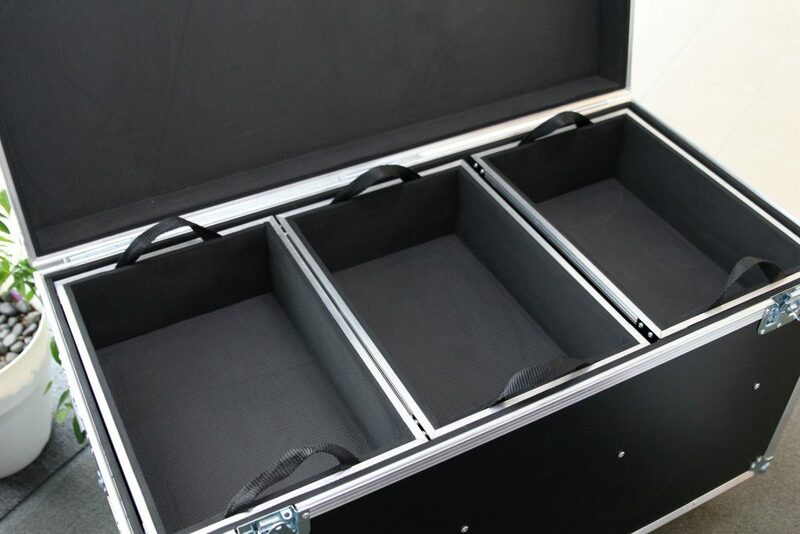 That’s why we created this case with many compartments for convenient storage. 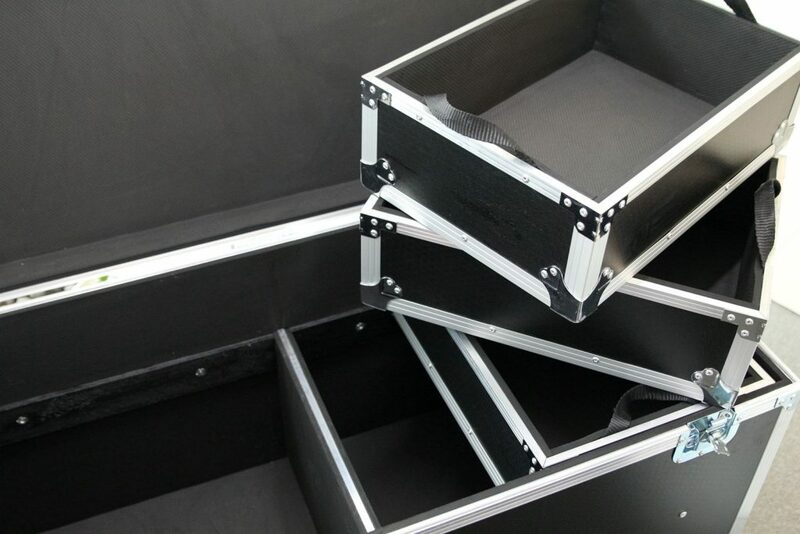 This road case is made from 9mm thick plywood that has been coated with black PVC and has aluminum extrusion all around for support. The interior of it, is lined with EVA foam and specifically, the lid is padded with 10mm of it. Four castors were attached on the bottom of the case for comfortable mobility. 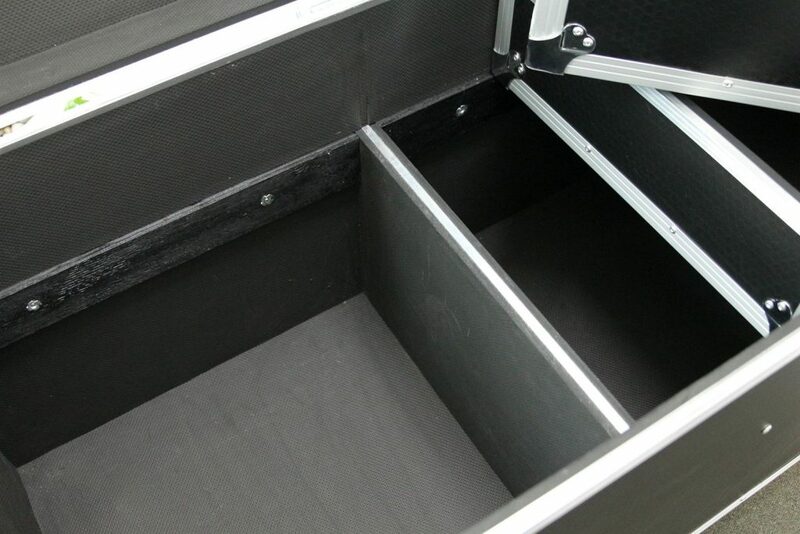 We constructed a hinged lid for easy access to the cables, without the need to completely detach the top. This case has 5 slots, where 3 of them are removable baskets with handles. 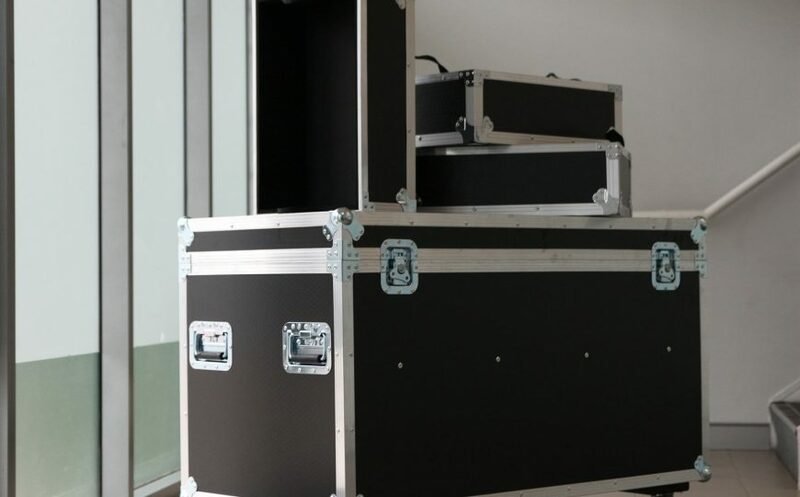 We created 2 main storage spaces on the bottom of the case, that are vertically divided by a plywood piece, for keeping bulky cables, and three portable trays, for packing smaller cords, sit on top of them.